Cleveland Browns | NFL News, as it happens, when it happens. Your one stop shop. Obviously, the Jaguars beat the Titans on TNF. The Oakland Raiders need this win more than anything. They are tied with Kansas City in the AFC South, and they MUST win this game if they want to have a chance to make the playoffs. Detroit is 4th in their division, so they aren’t really playing for anything, except the win. While the game is in Detroit, the Raiders have more pressure to win the game, and more heart. I believe the Oakland Raiders will win the game. This is a MUST win for both teams. The game is in Atlanta, so the Falcons will have home field advantage. I had a hard time making this pick, however I do believe the Atlanta Falcons will come out with the win. First off, Andrew Luck is not expected to play, which will make it much harder for the Colts to win. Second, I just don’t see the Colts defense stopping the Atlanta offense. It will be very hard to stop Devonta Freeman, who is playing at his best this year. This is also another MUST win for both teams if they want to have a shot at making the playoffs. However, I am picking the Eagles to win this game. While the Eagles have their issues which I’ll explain in a bit, I just don’t see a Jameis Winston led team being able to pull out the win. Part of the issue is Tampa Bay’s defense which is not great at all. The Eagles biggest issue is, Mark Sanchez. There are obviously more factors, but last week the Eagles played a great first half, then Sam Bradford got hurt of course, and Mark Sanchez subbed in. Then, in the fourth quarter, when you have to be clutch, Mark Sanchez could not finish the game. I think this will be a very close game, but the Eagles will be able to pull out the win. Mark Sanchez will throw at least one interception, and I think the reason why the Eagles will win this game is because of their running game, especially with DeMarco Murray in the backfield. With the Bears coming off a HUGE road win against the Rams last week, they will be ready to come out and battle the Broncos at home on Sunday. It will be a lot harder for the Broncos to win without Peyton Manning, as Brock Osweiler will be the starting quarterback for the Broncos. However, I am picking the Denver Broncos to win the football game. Many may disagree, however, in my opinion, I think the Saint Louis Rams made some mistakes which caused the Bears to win the football game. The Chicago Bears will lose this week to the Broncos as reality will set in. This may be a difficult game to pick based on the stat sheet, but it is quite easy for me. I am picking the Rams to win the game. The Rams are 2nd in their division and need to come out with the win if they want to have a chance at making the playoffs. As for the 2-7 Ravens, it would be a good win, but it wouldn’t do much as they have very little chance of making the playoffs. I think the Dallas Cowboys are not mentally tough enough to beat the Dolphins. Each week the players are getting in fights with the media, firing snarky comments at their opponents, and they just lose. They are currently on a seven game losing streak. To make matters worse, they are playing on the road against the Miami Dolphins who are not consistent, but are a much better football team in my opinion. This is an easy pick. I pick the Miami Dolphins to win the game. The Panthers will come out with the win this week. They are the better football team overall, and Carolina is the home team. Washington is 0-4 on the road so far this season, so I don’t think they can just come into Carolina and win. I am picking the Carolina Panthers to win the game. While the Chargers are the home team in this game, I still believe the Chiefs will win. This is a division game, so lots of things can happen, but the Chiefs NEED to win this game if they have any chance at making the playoffs. I don’t think it will be a blowout, but Philip Rivers and the Chargers just are not playing well at all this year. I am picking the Kansas City Chiefs to win this game. The Packers NEED to win this game, and so do the Vikings, but the Vikings are the home team, and Green Bay is 2-2 on the road this season. Things in Green Bay just haven’t been clicking these last 3 games, and it is time for them to turn it around. I think it will be a close game, but in the end Aaron Rodgers will have a great performance, and the Packers will get their much needed win. This is a very hard pick to make, but in the end I am picking the Green Bay Packers to win the game. For this game, Seattle is the home team. The 49ers are 0-4 on the road this season, and Century Link Field is a very hard stadium to play at. I believe the Seahawks will pull off the win, especially because Colin Kaepernick has been placed on season ending IR, which will make it very tough for the 49ers. Seattle’s defense will play a great game, and Seattle’s offense will put up just enough points to pull out the win. However, it should be close. I am picking the Seattle Seahawks to win the game. While the Texans are the home team, and it will be tough for the Jets to win the game, but they will come through. The Houston Texans just haven’t shown me enough this year. They are pretty inconsistent to say the least. And this isn’t the Rex Ryan coached Jets, this is the 2015 Jets, who have proven to be much better than last year’s squad. I am picking the New York Jets to win the game. This is going to be a tough game. The Bengals lost to the Texans last week, and now they are going on the road to play the Cardinals. While the Bengals are a great road team, I just don’t see their defense playing well. Obviously Arizona has a great defense, with Patrick Peterson at the DB and Tyrann Mathieu at safety. So, I think Cardinals’ defense will make it tough for the Bengals to score points, and it will be easier for the Cardinals to score on the Bengals defense. I am picking the Arizona Cardinals to win the game. Rex Ryan is all hyped up about that win over his former team, the New York Jets. While the Bills did play a good game and got a good win, Rex Ryan gets all cocky when he wins games. In week one, after Rex Ryan and the Bills got a good win against the Colts, he started talking smack about the Patriots and how he was going to beat them. Once again, the Bills won the previous week and Rex Ryan is getting all cocky again. Bill Belichick and the New England Patriots will shut him up, as they did week 2 on the road in Buffalo. If that isn’t enough, the Patriots are also the home team. I do think this will be a close game, but in the end, I am picking the New England Patriots to win the game. Last night the Ravens finally got off the hook, beating the Steelers in overtime 23-20, and more importantly covering the three point spread. That game wasn’t really about the Ravens. Let’s admit it, they’re not a good team. They finally were able to run the ball in the fourth quarter, but their offensive line is terrible, and their only reliable receiver is Steve Smith, who’s health is now something to watch. And above all, they’re 1-3. The important thing from last night’s game was this: the Steelers NEED Big Ben back as soon as possible. Michael Vick is a nice story. I really like how he came back from his jail stint and really rehabilitated himself as a person. But he’s not the same guy he was five years ago. Last night he seemed very indecisive, held onto the ball too long, got sacked a lot, and missed a lot of throws. The consensus report is that Roethlisberger will miss six weeks. That means that counting last night, he will miss at San Diego, Arizona, at Kansas City, Cincinnati, and Oakland. If they win two of those games they’ll be doing good, and that would put them at 4-5. Who knows how far behind the Bengals that puts them. And even if they get Big Ben back with a 4-5 or 5-4 record, they’ll still have games remaining at Seattle, Cincy, and Baltimore, along with home games against the Broncos and Colts. All winable games, but loseable also. I think 9-7 is a realistic goal for the Steelers this year, assuming Big Ben doesn’t come back for another five weeks, and that’s too bad, because I think this is a really good team. 9-7 won’t win that division, and may not get a wild card. Maybe I’m wrong. I’m wrong a lot. I was wrong seven times last week, let’s take a look at this week. Home teams are in all caps. Andrew Luck has to carry this Colts team, and now he’s “legitimately questionable” for this game. That sounds like BS, he’s going to play, but a compromised Luck means a compromised Colts. And the Colts aren’t very good to begin with. The days of them running through this division might be over. I think they’ll still go 5-1 or even 6-0 in division, but they’re not all going to be blowouts like the last few years. I’ll take the Jaguars getting that many points. Buffalo is for real, but the Giants getting five points coming off of a long week sounds good to me. The Bills had a big win last week, so Rex Ryan will again have them think they’re winning the Super Bowl. But make no mistake about it, the Bills are for real. Their defensive personnel is scary good. And Tyrod Taylor is a perfect fit for them. They don’t need him to go carry the team. They just need him to manage the game, not turn the ball over, and occasionally make some plays. Is Taylor the last quarterback to sit and learn for a few years and then step in and play instead of getting thrown into the fire as a rookie? That’s kind of a lost art, but he’s got a big arm and is very mobile. He might be good. But Buffalo is due for a let down, and the Giants are flying under the radar. Their offense is legit and keeps getting better each week. I’ll take the points in a close game. Carolina is a pretty weak 3-0 team. I think the Bucs are going to be ok. Jameis Winston doesn’t look overwhelmed, and he’s getting more comfortable with Mike Evans. A lot of people are jumping on the Panthers because they’re 3-0. The teams they’ve beaten are a combined 2-7 and they’ve won by an average of about 7.5 points. That’s not great. I’ll take the Bucs getting points at home. The Eagles seemed to solve a lot of their running game issues last week. Now they need to get DeMarco Murray going this week. I don’t think that’ll be much of an issue, he’s a special talent. An improved running game will help out Sam Bradford, who really needs to build confidence right now. And something vastly overlooked with this Eagles team is how good their defense is. They should feast on a turnover-prone Kirk Cousins. Call me crazy, but I think the Raiders might have the best chance to dethrone the Broncos in the AFC West. Seriously, which quarterback has played the best in the division thus far? You could make a real argument for Derek Carr. He continues to develop a great connection with Amari Cooper, and they have one of the best young pass rushers in the league in Khalil Mack. Plus they play a last-place schedule, and the Bears are a grease fire. I think the Raiders should win this one easy. I’m a little nervous considering the Falcons gave up 28 points to Brandon Weeden last week, but they did figure it out in the 2nd half. Devonta Freeman ran wild, and while the Texans have a much better run defense than the Cowboys, the Falcons have a very balanced offense. Kyle Shannahan has been very good as their offensive coordinator. He keeps finding ways to get Julio Jones open, and that guy might be the best receiver in the NFL. Also this team is very well coached, and their defense has improved. Plus the Texans have scored 20 points, 17, and 19 respectively so far this year. That’s not going to cover against Atlanta. I’ll swallow the points here. Beware the Monday night loser. Everyone saw the Chiefs get embarrassed in Lambeau, and teams that get embarrassed on a national stage usually play well the following week. And seriously, how long can Andy Dalton go before he just has one of those bad Andy Dalton games where he throws like four interceptions? I’ll take the points. San Diego has not looked good at all this year. Their only win was against an even more unimpressive Lions team, and they still needed a big comeback to win that one. All that being said, I look for them to have a big game this week at home against the Browns, a team that’s not very good and has to fly out west. The Browns locker room is slowly starting to divide, because believe it or not they once again mishandled a big decision and benched Johnny Manziel despite playing well in Josh McCown’s absence. Cleveland, as always, is a dumpster fire. The Packers are on a short week and have to make a west coast flight. The 49ers were embarrassed last week, and like I said before, teams that were embarrassed the week before usually play well the following week. Everyone’s beginning to realize how much Jim Harbaugh elevated Colin Kaepernick, but he should play better this week. The Packers don’t have as opportunistic of a defense as Arizona. Their run defense has been excellent so far this year, however, but it’ll be interesting to see how the 49ers run game which goes around the edges a lot more fairs against it. I’ll take the points in this one. Everyone overreacted to the Rams after Week 1, and now we’re seeing what they really are. They scored six points against the Steelers last week. Six. That’s like a high school game. And the Steelers don’t even have a great defense. Arizona’s aggressive defense should eat up Nick Foles, and Carson Palmer is playing as well as any quarterback in the league not named Rodgers or Brady. I’ll take the home team in this one. Denver is the weakest 3-0 team in the league. Their defense is legit, but defense doesn’t win in this league anymore. The reason they didn’t put Peyton in the shotgun/pistol to begin the year is because they know that’s not going to win in November, December, and January, but they found out quickly that they can’t do what they need to do to win in cold weather. The Vikings are also looking very good. Throw out Week 1, because that late Monday night game to open the season is typically a terrible representation of how good teams are. Just look at how the Vikings and 49ers have faired since. I love Minnesota getting this many points. Luke McCown vs. Brandon Weeden on Sunday Night Football. I can’t wait. Actually it looks like Brees will at least try to play, but in all honesty it doesn’t make much of a difference. The Saints are a rebuilding team, and the difference between 2015 Drew Brees and 2015 Luke McCown isn’t as much as you might think. The Cowboys defense is atrocious, shame on whoever said they’d carry the team without Romo. That being said, this is one of the most winnable games Dallas has without Romo, but I’ll take the Saints at home. There’s a lot of question marks with this Seahawks team, but don’t bet against Seattle at home in a primetime game. Detroit has been a major disappointment this year. Their offensive line has been crap, and it’s unclear whether or not Calvin Johnson just isn’t what he once was or if they’re just not using him the right way. Jim Caldwell might be Joe Philbin’s biggest competitor for the first-coach-fired-competition. Seattle honestly didn’t look that great against the Bears, but of course still won 26-0 because it was the Bears. I see them improving a little with Kam Chancellor having another week of practice under his belt. I’ll swallow the points and take the 12th man on Monday night. For college football fans or just degenerate gamblers who will bet on anything, I’m in a weekly college football pick ’em. Here’s my picks for this week: Air Force (+5.5), Michigan State (-21.5), Northwestern (-4), Arizona State (+13.5), Michigan (-16), Georgia, South Carolina, and Notre Dame straight up. We are through two weeks of the NFL season.Normally I would reflect on Week 2 right here, but honestly, it was not a great NFL weekend. It was an awesome college football weekend though. From Nebraska/Miami to Stanford/USC to Ole Miss/Alabama, it was an awesome day, and Sunday couldn’t help but being a little bit of a let down. Then of course, the Cowboys and Eagles played perhaps the worst football game in 30 years. Seriously, it was awful. It was unwatchable. But apparently everybody kept watching the Brandon Weeden/Sam Bradford showdown, because it got a 19 rating. There’s the power of the NFL right there. Anyways, the 2-0 Cowboys are without Romo and Dez, the Eagles are 0-2 and look like they have a lot of kinks to work out, the Redskins are the Redskins, and now the 1-2 Giants are sitting pretty. I had the Giants (-3) last night, I thought there was no way they would start 0-3. This is a good team, don’t kid yourself. Eli still hasn’t thrown an interception, his completion percentage is close to 65%, Odell Beckham is one of the best receivers in football, Larry Donnell is turning into a good weapon at tight end, and their running backs are very diverse and dynamic, while their defense continues to make plays despite all the injuries to their pass rush. And of course the Redskins are the Redskins. Let’s dive into this week. Home teams are in caps. I’m a little surprised the Cowboys are only getting a point without Romo. Even at home. Seriously, without Tony Romo their toast. He had to carry the franchise for three years until last year. Now they have no Romo, no Dez, and no DeMarco Murray. As good as their offensive line is, that can only get you so far. Of course, according to Jerry Jones, “This quarterback Weeden can drive the ball down the field. He’s a thing of beauty on throwing the football. His passing motion and his arm, frankly, you won’t see a more gifted passer.” Ten minutes later he traded for Matt Cassel. If I can disagree with Jerry just for a second, I’m going to go out and say Aaron Rodgers, Andrew Luck, Tom Brady, Joe Flacco, Ben Roethlisberger, Tony Romo, Eli Manning, Philip Rivers, Cam Newton, Matthew Stafford, Jay Cutler, and Peyton Manning are more gifted passers than Brandon Weeden, and there’s a lot of guys that I left out, but hey, that’s just one man’s opinion, and I’m not the GM of a professional football team. Don’t write the Colts off. Forget that sentence, don’t write Andrew Luck off. They’ve done a terrible job building this team. They keep drafting wide receivers even though they have one of the worst offensive lines in football, no running game, no pass rush, terrible safeties and bad linebackers. But hey, let’s go ahead and draft Philip Dorsett in the first round to be our fourth receiver. But their still going to be fine. Andrew Luck has carried the franchise his whole career, why shouldn’t he be able to now? No Luck hasn’t played particularly well, but don’t try and blame their 0-2 start on him. He’s a special talent, don’t try and over-criticize just because he’s the quarterback. They’ll still run through this division, and that starts this week with the Titans. I told you the Raiders would be ok this year, they just waited until last week to start being ok. Amari Cooper is going to be a star, maybe as early as this year. And of course, whenever the Browns are giving points, you bet against them. Seriously, why would the Browns ever lay points against another NFL team? Yes the Raiders are an NFL team, I think. Let’s move on before I change my mind. There’s a chance the Ravens just aren’t very good this year, but I’m not going to give up just yet. The Bengals have clearly been the better team through two weeks, but I’ll take Flacco over Andy Dalton in their home opener for now. Check back with me in a week. If the Ravens are still bad, I’ll jump ship. I don’t expect the Patriots to play soft coverage and put zero pressure on the quarterback the way the Dolphins did against the Jaguars last week, so I think they’ll win. Seriously, the Dolphins had such a terrible defensive scheme last week they made Blake Bortles look like an NFL quarterback. He had time, he was comfortable, and he could make throws. That won’t be the case this week. And Tom Brady is playing the best football of his career, and he’s 38 YEARS OLD! His F-U tour continues and I have no problems laying 13.5 points. Go look at their schedule. I know it’s early, but it’s not inconceivable to see them going 16-0. Let’s move on before I say something stupid and arrogant. I already did? Let’s move on anyway. The Panthers coming off a good win against a Saints team that doesn’t want to admit their rebuilding with Drew Brees’ status uncertain only giving three points? Ok. I’ll take it. And by the way, even a healthy Drew Brees isn’t what he was three years ago. This Saints team is a long ways from the one that went to the Super Bowl and was making playoff runs every year. I’ll take the Panthers. I’m going to keep backing the Eagles. If by Week 6 this offense is still this terrible, I’ll admit I was wrong. The Jets are a nice team. Todd Bowles will be a good coach. But this 2-0 start doesn’t mean he’s going to win the Super Bowl in his first year. Calm down a little bit. Just let Ryan Fitzpatrick be Ryan Fitzpatrick. The Eagles running problems are correctable. Remember how bad the Patriots offensive line was the first four games last year? The Eagles can fix that. Bradford needs a running game to depend on, because right now he has no confidence, and he’s extremely gun shy. I’ll take the Eagles getting points. How can the Texans seriously be laying 6.5 points? They have no offense. I watched a good portion of their game against the Panthers last week. Seriously, that was almost as unwatchable as the Eagles-Cowboys game. They can’t run the ball, and they can’t throw the ball. They can catch the ball a little bit, but that doesn’t really matter if you can’t throw it. The Bucs looked good last week, and that was without Mike Evans being much of a factor. I’ll take Tampa in this one. This feels like a toss up to me, so I’ll go ahead and take the team getting points. But I’m not confident in this pick at all. The Vikings are a decent team, but don’t overreact to last week. The Monday night loser is always a great pick the next week. The Chargers are traveling for a second straight week, but I’ll still take them getting points. Don’t sleep on the Steelers. This is a very good team. When the Patriots are rolling everyone halfway through the season, that opening game will look competitive. Mike Tomlin is also ahead of the curve going for 2 every time. It’s kind of like the three point shot in basketball. Think about it, if you convert more than 50% of your two-point conversions, then you score more points than you would’ve hitting all of your extra points. And with an offense like the Steelers that has Big Ben, Antonio Brown, Heath Miller, and getting Le’Veon Bell back this week, they could really score a lot of points this year. The San Francisco team you saw last week in Pittsburgh is a lot closer to what they really are than the San Francisco team you saw in Week 1. This is a severe coaching mismatch. Colin Kaepernick is still a below-average passer, and an opportunistic Cardinal’s defense should pounce on that. Also, Carson Palmer is 15-2 in his last 17 starts. Give me the Cards at home. This is a tough one to pick, but the Dolphins have to turn it around, right? Rex Ryan hasn’t changed at all. Good defense, talks too much, clueless offensively. Coming home, with their backs sort of against the wall, I think the Dolphins come out and play inspired football. And don’t kid yourself, Tyrod Taylor isn’t winning games for you. Who thought a 13.5 point New England spread wouldn’t be the biggest of the week? Kam Chancellor is back. Jimmy Clausen is starting for the Bears. The Chicago defense is still awful. Seattle played well last week in Green Bay. But right now they’re 0-2 and need to win this week. I expect them to play inspired football at home where they are very good, and I seriously don’t expect Jimmy Clausen to cover a 20 point spread, let alone 14.5. I’m throwing away my rule to pick the Broncos every game for the first eight games and pick against them the last eight. Peyton’s done, everyone can see it. He can put some good drives together, but he can’t play a whole game. He’s wildly inaccurate, especially on deep throws, and he’s been sacked seven times already. The Broncos have an excellent defense, but I like how the Lions tall receivers match up with them. Also, Detroit is getting points at home in a primetime game. I love the Lions in this one. I think the Chiefs might win this game straight up. They’re coming off a long week, and scored 24 points against that Denver defense while turning it over 5 times. They’ll fix that, and I expect them to come out playing motivated and the Packers may have a little bit of a hangover after a big win over Seattle last week. Give me the Chiefs in a Monday night upset. For college football fans or just degenerate gamblers who will bet on anything, I’m in a weekly college football pick ’em. Here’s my picks for this week: Vanderbilt (+24.5), Iowa (-25), Texas Tech (+7), Utah (+11), USC (-5), New Mexico, Tennessee, and Oklahoma State straight up. We are now out of the least meaningful week in the NFL season. Hurray! I went 9-6-1 against the spread last week, and admittedly botched a couple games badly. My biggest advice to you is this: don’t be that guy that overreacts to Week 1. Remember, the Patriots, Packers, Colts, Cowboys, and Ravens all lost in Week 1 last year, and all five of those teams made the playoffs. There are a few things I was very wrong on though, and I will go into those. Let’s start with last night. Last week I wrote to pick the Broncos in every game the first half of the season and pick against them in every game the second half of the season. I went against my own rule last night, picking the Chiefs (-3), and of course got burned. But I stand by that pick. Look, everybody is going to make all the excuses they possibly can for Peyton Manning. I applaud Jim Nantz and Phil Simms for figuring out a way to blame everything possible for Peyton Manning’s struggles besides Peyton Manning. It’s his new offense, it’s the offensive line, it’s the play calling, it’s the blitzes by the Chiefs, blah, blah, blah. I love Peyton, I think he’s a great dude and a top 3 quarterback of all time. But it’s done. He can’t put a whole game together right now, let alone a whole season. Yes, give him credit for getting through that game last night. But let’s be honest, he had two good drives. When his first read was open, and he got rid of the ball in two seconds or less, he was fine. He looked a little bit like the old Peyton. But if the pass rush was able to even get close to him, he missed the throw, usually badly. Sometimes he had time, and still floated a throw five yards away from his receiver. His arm has never been great, now it’s below average. Give credit to an incredible Bronco defense, and say thank you to the Chiefs for playing so terribly. It’s not just that they had five turnovers, it’s that every one of those turnovers seemed to come at the worst time. Jamaal Charles fumbled inside the ten, costing them a field goal. Alex Smith’s first interception pretty much gave Denver a touchdown. His second interception came when they were driving down the field. And then of course there was the Charles fumble returned for the winning touchdown with under a minute left. The only non-costly turnover was the fumbled punt, which gave the Broncos the ball around the 30, and they missed a 4th and 1 instead of kicking a field goal. I’m going to hurt my head if I keep writing about this, so let’s just go to this week’s picks. Home teams are in all caps. The Panthers won last week because they played the Jaguars. The Jaguars scored nine points, because that’s what they do. The Texans certainly have some huge quarterback issues right now, and I think eventually they’ll settle on the more talented Ryan Mallett. They need to get that quarterback situation figured out, because J.J. Watt looks a little less terrifying when he’s down by 20 points. The Panthers offense struggled last week, they will again against a great Texans defense. This one’s easy. Can there be a less impressive 20-3 win than what the 49ers had late Monday night? I’ll be honest, that second Monday night game on opening weekend is always one of the worst games of the year. The Vikings offense was horrible, and San Francisco couldn’t move the ball consistently. I still think the Steelers are going to be really good. They didn’t play well against the Patriots, but a lot of people don’t. Big Ben still won’t have Bryant or Bell this week, but he’ll have a lot more success against the 49ers than Teddy Bridgewater did. Don’t forget, Pittsburgh moved the ball pretty well between the 20s in New England, they just couldn’t finish drives. They will this week. I know Jameis Winston and his offense looked terrible last week, and the Tampa defense gave up 4 touchdowns to Mariota in his first career game, but a 10 point spread is too much for me in an NFL game. The Bucs should get Mike Evans back this week, and that’s huge for a rookie quarterback. The Saints will move the ball well, but they weren’t great against the Cardinals, and I don’t expect them to cover. Forget everything I said about the Vikings last week. They still have a lot to improve on. Carlos Hyde ran all over them. Bridgewater was horrible against what was essentially a brand new defense. They couldn’t move the ball at all. The Lions had a pretty big collapse in San Diego, look for them to be motivated playing a Vikings team on a short week and I expect them to win rather handily. I’m really only giving the Bears two points in this game? Ok. The Packers beat them by eight and they didn’t play well. Arizona always flies under the radar, and if their spreads are going to be this low all year, keep betting on them. Other than a running game, they have all the pieces. Give me the Cardinals going away in this one. Do not, I repeat, do not overreact to week 1 from the Bills. Remember, Tyrod Taylor is their quarterback. I repeat, Tyrod Taylor is their quarterback. Now, give them some credit. They probably have the best defensive personnel in the NFL, and now they have one of the best defensive coaches in the league. But seriously, Tyrod Taylor is their quarterback. It’ll be interesting to see what Rex comes up with to cover Gronk, that’ll be the big difference between the Pats and Colts. Also, Rex probably has them thinking they’re going to win the Super Bowl after one week, so they’ll be in for a let down. Once again, don’t be that guy that overreacts to week 1. I feel a little weird picking all of these road teams, but I’m not going to put a ton of stock into what the Bengals did last week. The Chargers were impressive in their comeback last week. Like I said, I’m expecting Philip Rivers to have a big year, he’s extremely motivated after all the rumors that swirled around him this offseason. Keenan Allen and Melvin Gordon are rising stars. Give me San Diego in this one. Mariota is definitely due for a letdown this week. After being that good in his debut, he can only go down from here. Give him a full season, maybe two or three before we crown him as the savior. Yes, I’m picking the Browns this week. What am I doing? I’ll take the home team getting points, yes, even if it’s the Browns. Despite how horribly they botched the 1st and goal from the one last Sunday, I think the Giants showed some good things. That defense can be good, they have a very good tandem of corners in DRC and Prince Amukamara. The Falcons were good, but they still were a missed field goal from blowing that game. I’ll take the Giants at home with Atlanta coming off a short week. I’m pretty nervous with this one, it seems way too obvious. I feel like a lot of people are going to jump on the Ram’s bandwagon after last week, and I don’t feel good about putting a lot of faith in Nick Foles. But the Redskins are not good. a 17-10 home loss was impressive for them. Their quarterback situation is a mess, the RG3 soap opera is still hanging around them, and I don’t think Jay Gruden is going to be a very good coach. I’ll take the Rams to cover, but expect it to be low scoring. I might end up picking against the Jaguars every game this year. Seriously, what is there to like? Blake Bortles is not good. Julius Thomas is already wasting away in this offense. There’s no offensive line or running game to speak of. The defense is nothing special. What am I supposed to like? The Dolphins should bounce back after struggling with the Redskins. And might I point out that despite struggling, they still covered. They’ll cover easily in this one. I’m crazy for picking this, but I’m not going to jump ship on the Raiders after one week. The Ravens offensive line is horrible right now. I know they were facing a terrific pass rush in Denver, and an underrated defensive tackle in Malik Jackson, but they couldn’t run the ball to save their lives. The only time they moved the ball down field at all was their final drive running the two-minute drill. The Raiders will be ok. They still have a ways to go, but give them some time before you say they are as bad as they usually are. I’ll give them this one at home with the Ravens making the cross-country flight. This line is a little big for me, but I really like the Eagles in this one. Their offense will be explosive. I think after reviewing the film Chip Kelly will realize he needs to run the ball more, and they’ll do really well with that. Sam Bradford found his groove in the 2nd half and looked really good when he did. Their secondary looked bad, but should gain some confidence against a depleted Dallas receiving core. As much as I love the Cowboy’s offensive line, their running game was not good last Sunday. I’ll take the Eagles to cover at home here. This is a tough one to pick, but Green Bay is playing really well right now. The Seahawks’ offensive line didn’t look very good against St. Louis. Russell Wilson had no time to let deep routes develop. The absence of Kam Chancellor matters, don’t kid yourself. Aaron Rodgers walked right into Seattle in the NFC Championship last year and should’ve beat them on one leg. I’ll take the Packers right now in Lambeau. Yes the Jets were good on Sunday, but yes it was against the Browns. This Colts offense should get right back on track. Remember, they were playing at Buffalo, against the best defense in the league. That’s right Seattle, the Bills are the best defense in the league, at the moment. I expect Andrew Luck to get back on track, and I don’t see any reason the Jets should score enough points to cover. If you’re a college football fan or just a degenerate gambler who will bet on anything, I’m in a weekly college football pick ’em. My picks for this week are: Louisiana Tech (+9), Ole Miss (+6.5), Purdue (+6), Cal (-6), TCU (-37.5), Colorado State, Georgia Tech, and Nebraska straight up. NFL football season is underway with week one’s slate of games finishing up on Monday Night Football, and the viewers got a good chunk of entertainment, surprises, and sloppiness. With it all, NFL fans everywhere learned more about teams, players and possible season outlooks. 1. The New England Patriots came out with a vengeance. The New England Patriots are winning, no new news there. But we’re going to be seeing the Patriots use a mantra we have not heard since Spygate, “It’s us versus the world.” Off the heals of Deflategate and Tom Brady’s suspension, we saw the Patriots play with such ferocity and intensity in their season opener versus the Pittsburgh Steelers. Even though the final score was 28-21, the game was very much dominated by the Patriots. Tom Brady went 25/32 for 288 yards and four touchdown passes. The narrative of the Patriots dominating their opponents could be commonly heard throughout the season, and the “us versus the world” mantra could very well give them even more motivation to make another Super Bowl run. Also, don’t mess with an angry Tom Brady. Marcus Mariota, the number two pick in the draft, impressed in his first career start. In fact, impressed was an understatement. 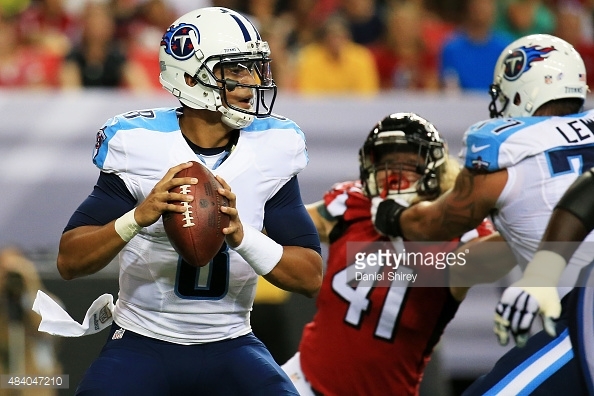 Mariota was historic and near-perfect in his debut as the Tennessee Titans squandered the Tampa Bay Buccaneers 42-14. Mariota threw for 13/16 for 209 yards and four touchdown passes. What’s significant about the four touchdown passes is that they all came in the first half. The feat of a rookie throwing four touchdowns in his opener has not been done since Fran Tarkenton in 1965. With the impressive debut, it has essentially eliminated the talk of Mariota only being a system quarterback under Oregon’s fast-paced spread offense, and also eliminated the questions of Mariota possibly struggling to adjust to a pro-style offense. Number one pick Jameis Winston, however, struggled and at times looked inept in his debut. His debut went south quickly when his first career past was intercepted and returned for a pick-six. Winston completed lest than 50% percent of his passes as he went 16/33 passes for 210 yards and two touchdowns. But with those two touchdowns, Winston threw two interceptions. However, it is too early to be hitting the panic button on Jameis yet. Winston is playing behind a shaky offensive line, and was also missing key receiver Mike Evans. However, that is not an excuse for having trouble in finding rhythm with throwing to them. As the season progresses, hopefully he should improve. 4. Maybe Johnny Manziel does have a chance. After a disastrous rookie season, many began to write off Johnny Manziel as a bust. After checking into rehab, and a successful off-season of growth, a spark of hope was ignited when the Cleveland Browns opened up the season in New York against the Jets. After starter Josh McCown got lit up and sent out of the game with a concussion, Johnny football stepped in. Immediately, he made an impact by throwing a 54 yard bomb for a touchdown. However, the positives would shy away as the Jets force an interception and a couple of fumbles from Manziel during a 31-10 rout. 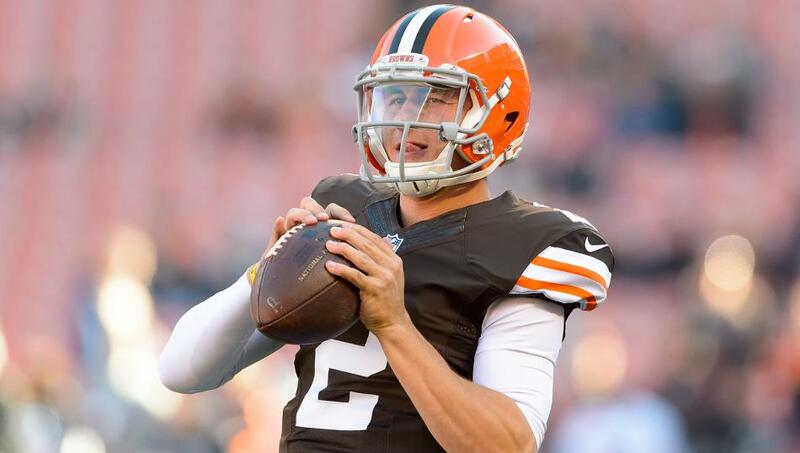 Manziel finished 13/24 for 182 yards and one touchdown and one interception. Though they may not seem like big stats, it is a vast improvement over his rookie season. If he does start week two in place of a concussed Josh McCown, expect him to put up bigger numbers and seize the opportunity. Johnny Manziel has changed, and has improved. The Buffalo Bills beat the Indianapolis Colts. The St. Louis Rams beat the Seattle Seahawks. Those results should not have happened. But yet the underdog came out on top. And it is only a sign of things to come. This NFL season is going to be a season of twists, turns, and most importantly chaos. Teams that we thought were juggernauts, will stumble and fall and get upset. Peyton Manning failed to throw a touchdown pass, Marshawn Lynch couldn’t run one yard to convert a first down, the San Francisco 49ers won despite being cast off due to the tumultuous off-season. Everyone better buckle up, because of what happened in week one, this season is going to be the year of chaos. With the preseason now in the rear view mirror, as well as deflate gate and the seven month circus that it was, we can now shift our focus from courtrooms and un-drafted players, to what really matters. Regular season games, and the road to Santa Clara for Super Bowl 50. 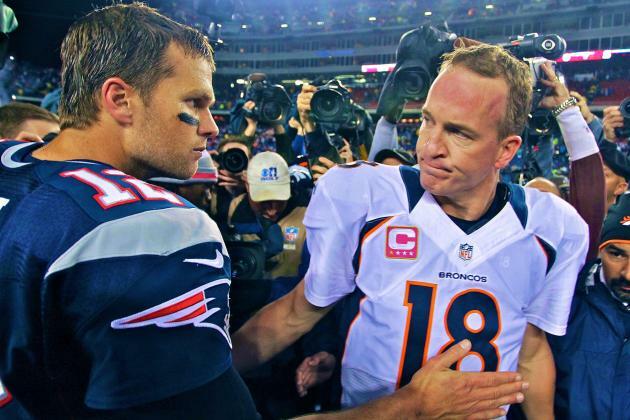 Many are under the impression that there is no clear favorite in the AFC right now. There are a few teams that look to be contenders, but not one sure fire team like in years past. Here is my full prediction for each division and playoff matchup. AFC East: New England Patriots (12-4): Overall I have been underwhelmed by the Patriots this preseason. With the entire team and region ready to run through a brick wall for Tom Brady on Thursday, I believe they will take that game. After that they have two tough games in Buffalo and in Dallas two weeks later. With the secondary and offensive line going through significant changes, don’t be surprised if they get off to another two and two start, like they did last year. Nevertheless, the Patriots under Bill Belichick have always been dominant in the second half of the season, so expect them to bounce back and win the division. Buffalo Bills (10-6): The Buffalo defense was already stacked as it was, and now add a defensive guru such as Rex Ryan to the mix, they can give any quarterback major headaches. Also, the Buffalo offense is full of offensive fire power and speed. Lesean McCoy in the backfield, Sammy Watkins and Percy Harvin at receiver, and a speedy quarterback like Tyrod Taylor will keep any defense on their heels. However, Rex Ryan has never been a quarterback whisperer and starting an unproven player such as Taylor could be risky. New York Jets (7-9): On paper, the Jets have an outstandingly talented roster. Their cornerback depth chart headed by Darrelle Revis and Antonio Cromartie may be the best in the league. Brandon Marshall is also a big addition on offense. The Jets have a very similar problem as the Bills, they don’t have a quarterback. Ryan Fitzpatrick has been average to sub par in his career, and Geno Smith put himself out for the first ten weeks by getting himself punched in the face. With a first year head coach in Todd Bowles, the personalities on that roster could take over and not allow the team to capitalize on their potential. 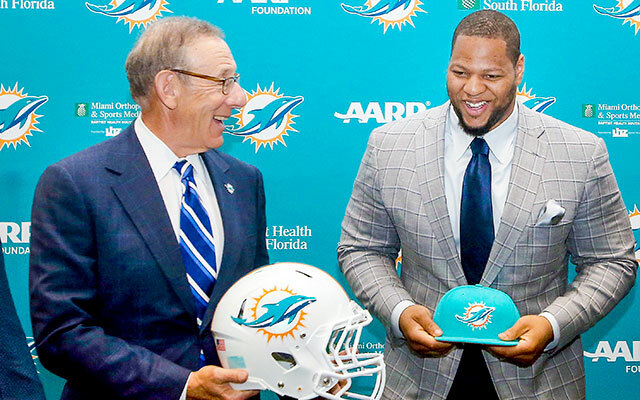 Miami Dolphins (7-9): The Miami Dolphins were not shy in spending money this offseason, giving out mega contracts to Ryan Tannehill and Ndamukong Suh. It is great to sustain and add talent, however when you give out those deals it can leave you vulnerable at other positions. For example, their offensive line has been below average for the past few seasons, and how good is a twenty-million dollar quarterback when you can’t protect him. In addition, Joe Philipin may be on his last leg with the team. Baltimore Ravens (11-5): If there is one team in the National Football League, besides the Patriots, that you can always count on being in at least the divisional round, it would be the Ravens. Say what you want about John Harbaugh’s personality, he is a great coach and his team fears no opponent. They will continue to have a stout defensive front and a run heavy offense, along with the always postseason reliable Joe Flacco. Count on them playing late in January. Pittsburgh Steelers (9-7): The Steelers have been a very difficult team to predict the past couple of seasons. It looked as if they finally turned the corner last season when they won the division with a fantastic offensive year. However, they came out flat and lost in the wild card round at home against arch rival Baltimore. This season, they are facing a lot of turnaround on defense with long-time veterans in the secondary, Ike Taylor and Troy Polamalu retiring. 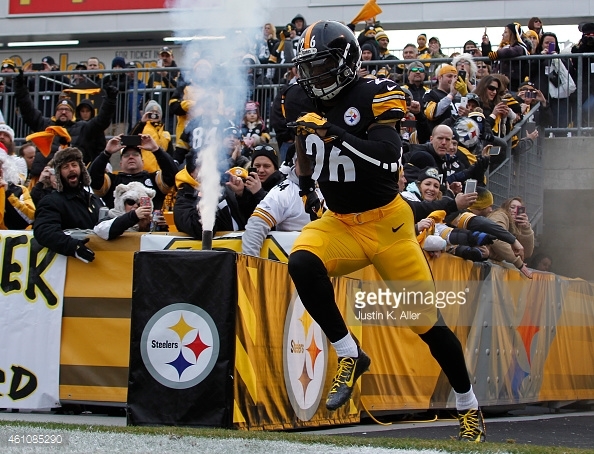 Also, key pieces on offense Le’veon Bell and Martavius Bryant are suspended early on. It will be a bit of a set back year in Pittsburgh. Cincinnati Bengals (9-7): Over the past four seasons, the Bengals have been almost identical to the team the year before. They are a tough team up front on defense, with an average offense with a fragile superstar in AJ Green, and an inconsistent quarterback with Andy Dalton. Nevertheless, in the playoffs they never cease to amaze when they upset fans in the wild card round with their lack luster performance. I find it hard to believe that they will make it to the playoffs this season due to the increase in talent around them. Cleveland Browns (6-10): Last year at this time I was all in on the Browns. Now they are just viewed as a bottom dweller once again. The Johnny Manziel hype has died out very quickly, and besides him there isn’t much on that team that is interesting. The defense has some young talent in Barkevious Mingo and Joe Haden along with others, but it has yet to translate to the field. Indianapolis Colts (12-4): The Colts have been the talk of the town in the AFC over this past offseason. With the additions of veterans such as Andre Johnson and Frank Gore, many are claiming them as Super Bowl favorites in the AFC. Although, not much has been made about their lack of defense. Their past two seasons have ended in Foxborough in January because they can’t stop the run. They did not address that need this offseason, and one of their best run stoppers, Arthur Jones, is out for the season with a torn ligament in his ankle. The offense will be among the tops in the league, but it will be tough for their defense to hold up in the key situations in the playoffs. Houston Texans (10-6): The Texans flew under the radar last season going 9-7 and just barely missing the playoffs. This year Bill O’Brien will have them as one of the forces in the AFC, and defensive coordinator Romeo Crenell may have the best unit in the league. JJ Watt, Jadeveon Clowney, Vince Wilfork, and Brian Cushing are just a few names on a defense that will be a force to be reckoned with. They certainly will give Andrew Luck headaches. The quarterback position is a question mark with Brian Hoyer as the starter, but Bill O’Brien is a very good offensive mind and can put things together. Jacksonville Jaguars (5-11): Blake Bortles is a promising young quarterback, however he does not have much if not anything around him. The team added tight end Julius Thomas in the offseason, but he will be out for the first few weeks of the season due to injury. Also, his numbers may have been inflated because of the offense he was on in Denver. Jacksonville has a good young roster, they might just be a year or two away. Tennessee Titans (4-12): The Tennessee Titans selected Marcus Mariota with the second pick in the 2015 draft, and they want him to be the quarterback that will take them to the top. Well, they need to begin to add pieces around him before they can truly be a relevant team in the AFC. His character and toughness will be tested early in his career as his team will struggle. Denver Broncos (11-5): Most media members are counting the Denver Broncos out of the AFC championship race. That is the wrong move. Peyton Manning may be a terrible postseason quarterback, but he is more than likely the best ever when it comes to the regular season. Manning has a plethora of targets that include elite receivers such as Emmanuel Sanders and Demaryius Thomas. Also, Peyton has help in the running game now with CJ Anderson and Montee Ball. In addition, the defense is stacked and should be in the top five overall. It won’t be like the late 90’s Broncos with Elway, Sharper, and Davis, but it will be enough to get them a home playoff game. Kansas City Chiefs (9-7): The Chiefs are a sleeper team right now in the AFC. The addition of Jeremy Maclin will compliment the speed of Jamaal Charles very nicely. Their defense is also very good up front lead by Justin Houston and Dontarie Poe. Also, Eric Berry returning will be an emotional lift and on field. He is one of, if not the best safety in the game. The Chiefs also have one of the best coaches in the game with Andy Reid, that can never go unmentioned. San Diego Chargers (9-7): When you have an elite quarterback such as Philip Rivers as your starter, you will be able to compete for a playoff chance almost every season. The Chargers drafted Melvin Gordon in the first round of this year’s draft and many believe that he can be the next Jamaal Charles. The defense does not have a ton of talent, but they played very hard and physical last season. That will be essential when going up against divisional opponents such as Kansas City and Denver. Oakland Raiders (6-10): Last season, the Raiders lost their first ten games of the season. They finished with three wins, and fought hard against almost every team they faced in the last half of the season. They now have Jack Del Rio as a head coach. He has always been known to be able to put together a solid defense. The Oakland defense is swimming with young talent. Offensively, the Derek Carr to Amari Cooper connection is one to keep an eye on in the coming years. Again, another team that may be just a year away. Divisional Round: 1. New England over 6. Houston, 4. Baltimore over 2. Indianapolis. As a diehard New Englander, this pains me to write. The Patriots somehow managed to stay very healthy, (with the exception of Jerod Mayo) last season. No serious injuries were suffered to Tom Brady, Rob Gronkowski, Julian Edelman, or a defensive stars such as Dont’a Hightower, Jamie Collins, or Devin McCourty. It is hard to think that nothing will happen to any of those players this upcoming season. Furthermore, the losses of Darrelle Revis, Brandon Browner, Kyle Arrington, and Vince Wilfork will be greatly missed in the postseason. In addition, the Ravens have no fear going into Gillette, and this rivalry tends to be back and forth. I hope I am wrong, but as of right now I see the Baltimore Ravens representing the AFC in Super Bowl 50. 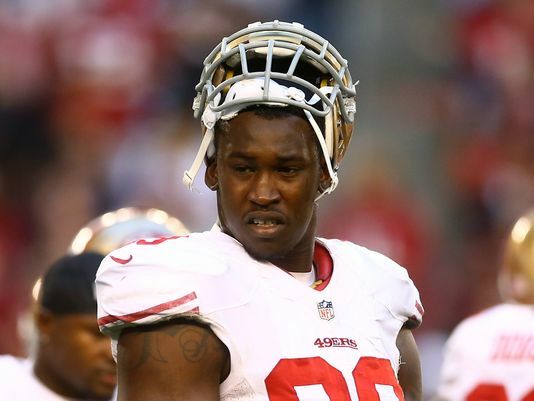 Now former San Fransisco 49ers star linebacker Aldon Smith was yet again arrested, this time for a DUI, the third DUI he has gotten since entering the league. As I’m writing this I just got the alert on my phone that the 49ers have released Smith, this makes me question how dumb some of these NFL players and athletes could be in general. You have guys like Aldon Smith, Josh Gordon, Justin Blackmon and of course Aaron Hernandez who are throwing away millions of dollars because of the stupid decisions they’re making. These guys are living the dream, making millions of dollars to play football, what could possibly be better than that? Well apparently to some of these guys going out getting high, shooting people as well as other dumb things there doing, has a higher priority. Makes you also question how these guys made it this far and if they were just kept being passed on because of their talent and never disciplined for issues before the NFL. Did everyone just turn their backs when these guys were in high school and let them do as they pleased because of their talent? Could some of these guys have been changed and not made the mistakes they did had they been punished and had tighter rules when they were younger? A good thought, but something we’ll never know. Aldon Smith was the 7th overall pick and finished second in defensive rookie of the year voting, he looked like he was gonna be a pro bowler year after year and could have been a force in the league. He was then arrested for now three separate DUIs, and for joking about having a bomb at an airport, another just purely stupid move. After his second DUI, Smith entered a rehab facility which seems clear he didn’t take very seriously. When you’re given an opportunity to get help when you need it, you take it and hope you can not only save your career, but also save yourself from going down an even worse path. After his release from the 49ers, his career is almost sure to be over at the age of 25. 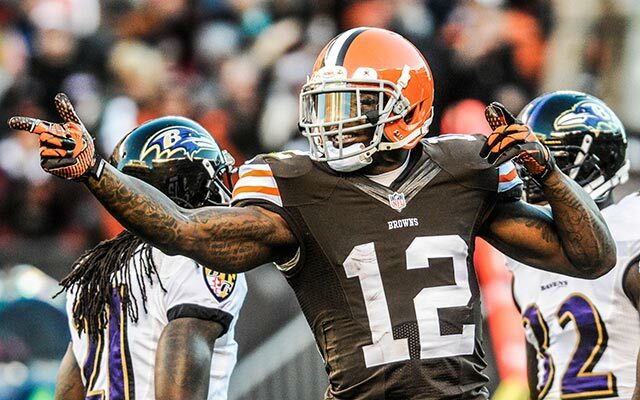 Another guy throwing his career away is Josh Gordon. Gordon bounced around college because of suspensions due to substance abuse problems and hardly played. Gordon was still selected by the Browns in the second round of the supplemental draft and ended up missing time in his rookie season because of his drug use in college. Gordon also missed time during his second season for a substance abuse violation, and again was suspended. When Gordon returned he went on to be the best receiver in the NFL even with missing 14 games. Entering his third season Gordon was suspended yet again for substance abuse, this time originally for the season, which ended up being reduced to 10 games. You think that maybe, just maybe, Gordon would learn from this, nope. Gordon was suspended for at least one year after testing positive for drinking alcohol, which he could not do after being placed in the leagues substance abuse program. Gordon was a complete stud during his very brief NFL career and is now in question if he will ever play again. I loved Gordon on the field and was pulling for him to change his ways off the field. Even with my fandom of Gordon I don’t feel bad for him at all, he could have changed his off-field ways, he was in the leagues substance abuse program after three different substance abuse incidents, and after constant suspensions he just didn’t learn. Apparently weed is more important than playing football and making millions to Gordon. Have fun selling cars again in Cleveland Josh, hope you were good at it because it looks like that is going to be your future, not the NFL. 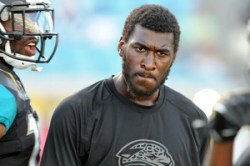 Like Gordon, Justin Blackmon has faced many suspensions due to substance abuse problems. Blackmon was suspended 8 games in 2013 because of failed drug tests and after not learning was suspended the whole season in 2014 for substance abuse and currently faces an indefinite suspension. The Jaguars general manager recently said he doesn’t expect Blackmon to play in the NFL again. 25 years old, and out of the NFL because of weed, not talent which Blackmon had all the talent in the world, not injuries which tend to happen to players, but for smoking weed. Go back a few years and say Blackmon and Gordon would be among the top receivers in the NFL at this point in their careers and almost on one would disagree, tell someone the two would be out of the league and people would be shocked. I don’t feel bad for Blackmon just like I don’t feel bad for other players I mention, he didn’t love the game and rather would live the way he wanted, smoking weed and doing whatever else he wanted to do which didn’t involve football. The last that was seen of Blackmon he was not nearly in the playing shape he was and by the looks of it he has no desire to play in the NFL again. And of course the most well-known idiot on this list, Aaron Hernandez. All us Patriots fans as well as the rest of the country know his story and his legal trouble. Hernandez was convicted and given a life sentence for the murder of Odin Lloyd and still faces a double homicide charge stemming from a 2012 incident. After news of Hernandez’ arrest in the Odin Lloyd incident, Hernandez was released by the Patriots and then other news and incidents from his past began to slowly come out. 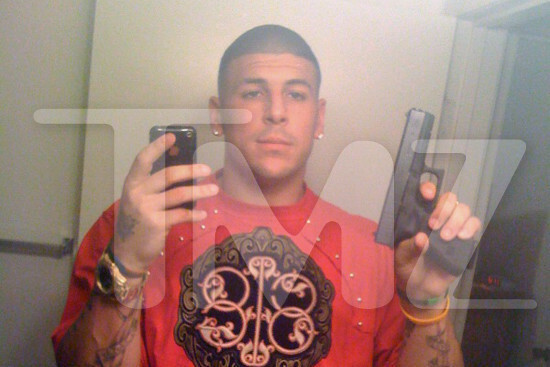 From him taking a selfie with a gun during his time at Florida, to bar fights, to gang related activities from his time in high school combined with drug use, Hernandez was a thug off the field with all his issues. Hernandez had all the talent in the world on the field and had all the problems in the world off of it. After just having a baby and a new $40 million contract, you would think Hernandez would give up his old ways and change his life, apparently not. Hernandez is a sociopath and all he knew was his street mentality and was apparent he didn’t wanna change for anything and its who he was, giving up his family, football career, a $40 million contract at the age of 23 and his life. No one will ever know the reasoning these guys have to do what they do, act how they act, and know whats important to them in life. The are all guys who were given many opportunities to change their lives and change who they are. Rehab through the league or separate rehab are and were all options to these guys. Johnny Manziel entered rehab after the end of last season because he knew his drinking and parting would have led to a quick end of his career. Johnny now seems to be on the right path, only focused on football and competing to be the Browns starting quarterback for the 2015 season. 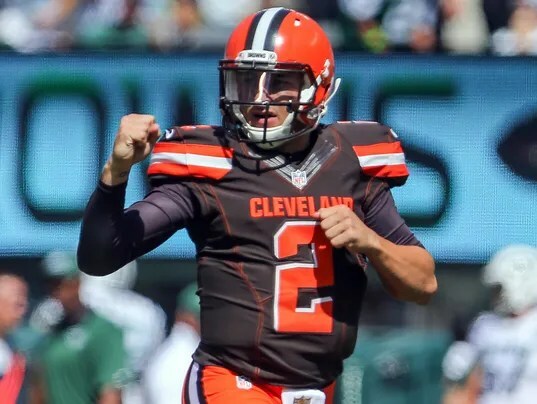 I hope Manziel has that all behind him and is focused solely on football, though I loved Johnny Football and the college party boy swagger he brought to the field being a college kid myself, I hope and would rather see Manziel as a successful NFL player. These guys gave up the American dream, just about everyone including myself will never understand why and what is important to these guys, and they now have to live with their decisions which have changed all their lives for the worse.